Lok Sabha Elections 2019: Charity Begins at Home? Blocking Your Vote Could Begin There Too! With the deadline for applying for a change in Parliamentary constituency looming over my head, I logged on to www.nvsp.in and learnt I only needed to fill Form 6. 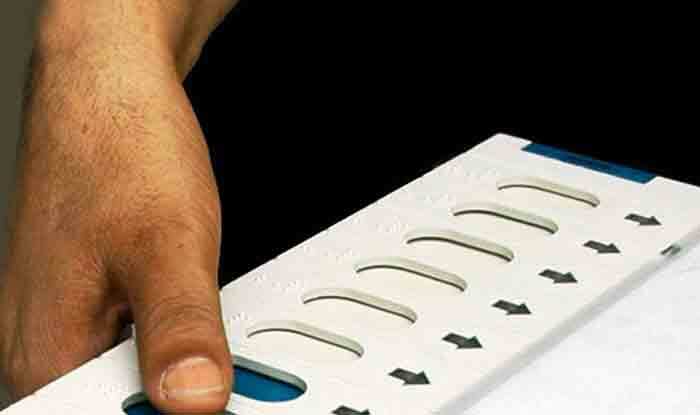 Lucknow: For someone in the news business, I am ashamed to report that I woke up too late to the fact that I won’t even be able to cast my vote here in the coming Lok Sabha elections. It wouldn’t even have dawned on me had my father, who is at the other end of the political spectrum as far as allegiance goes, not pointed it out to me. These 21st century parents! I thought to myself. Anyway, so with the deadline for applying for a change in Parliamentary constituency looming over my head, I logged on to www.nvsp.in and was pleasantly surprised to learn that there was just one form I needed to fill. Form 6. “I can do this!” I said, more as encouragement than out of belief in my skills. It’s a one-page document that needs to be filled but guess what is the strangest thing about it? Nowhere was I required to mention my Voter ID. Why? If the form also asks me for details about where (if) I am listed as a voter and my name should be struck off those rolls, wouldn’t it be easier to track me down with my voter ID number? Another thing that struck me was that my Aadhaar wasn’t accepted as address proof as well. Again, why? If my Aadhaar has the same address as where I live, what is the problem here? Why is my Aadhaar sufficient only as my identity proof? If Aadhaar is good enough to prove that I exist, isn’t the fact that I live in the house that’s mentioned on my Aadhaar good enough too? For address proof, they accept passport, water bill, electricity bill, lease agreement, bank statement or even income tax returns. So if I was a single woman, with no bills in my name, no passport or income, I would have nothing to show I live where I do? Anyway, after many failed attempts because of slow internet, and power failure, I did manage to complete the form and submit it online. Now I can only hope it is accepted or I would be forced to travel to another state 600-odd kms away. So much for my dad’s attempts at blocking one vote going to opponents! Disclaimer: The views and opinions expressed in this article are those of the author and do not necessarily reflect the official policy or position of India.com. The writer is solely responsible for any claims arising out of the contents of this article.